The National Museum, Bunkier Sztuki, Wawel Royal Castle… all these and more will throw open their doors to the public for free tonight, as Krakow celebrates its ‘Night of Museums’. It’s a mark of the city’s independence within Poland, that it generally holds this event a week later than many other Polish cities – as if to say, ‘yes, well… but look at this!’ And such provincial pride is not without reason; Krakow may no longer be the administrative capital, but few would challenge its right to the title of cultural capital – and the term ‘Royal Capital’ is still present, not just in some official documents but even on sewer covers on the streets. This evening is a chance to sample all that’s best of the cultural side of Krakow, with free entry to exhibitions from 7pm until 1am tomorrow. Some, such as the Underground Museum and Schindler Factory, must be booked ahead due to their popularity. At others, you can just turn up. And, with the weather set to remain fine, the balcony of the Sukiennice offers a perfect midway point for your tour – from where you can relax with a glass of something cold, and view the architectural gems of the Main Square. 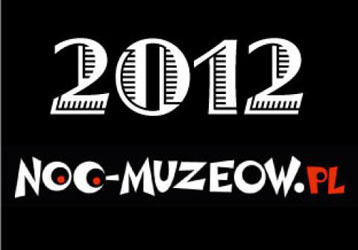 For more information, and to download a programme, visit the official Museum Night website here.